Jane Lizotte daughter of the late Justice Francis O'Connor holding a portrait of her dad. The late Justice Francis O’Connor was well regarded for his public service on the Massachusetts Supreme Judicial Court, as well as his participation in a number of civic activities in his hometown of Shrewsbury. Those closest to him, however, remember a man whose love of family endured even through a six-year struggle with Alzheimer’s disease. “Despite losing the ability to put a name to a face, he never lost what made him special — his love,” recalled one of O’Connor’s grandsons, Liam Davidson, a junior at St. John’s High School in Shrewsbury. O’Connor died in 2007 at age 79. He and his wife, Ann, had been married for 52 years. 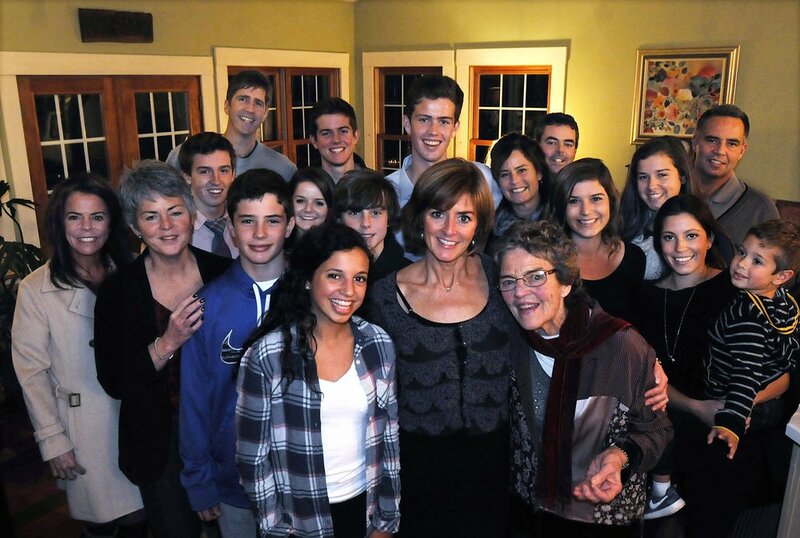 In his honor, Jane Lizotte, one of O’Connor’s daughters and Sherwood Middle School principal, proposed in December 2010 that all 18 aunts and uncles and 33 cousins formalize their longstanding tradition of running or walking 5 miles each Thanksgiving morning. The inaugural Turkey Trot for the Memory road race took place the following year, with 500 participants raising $14,000 for the Massachusetts and New Hampshire chapter of the Alzheimer’s Association. Today the race draws over a 1,000 participants and has raised over $140,000 for the Alzheimer's Association Massachusetts/New Hampshire Chapter. “It’s incredibly rewarding to see a family tradition grow into an event that brings people from all different walks of life, and all corners of the country, together,” O'Connor's grandson Liam Davidson said.